Thanks to your feedback, Swimia has turn out to be in just a number of months one essentially the most very important web sites of swimming pools. 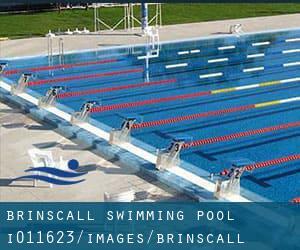 Here you may have all the info we know about Brinscall Swimming Pool, in Brinscall. Do you realize the opening hours? Are they offering any course? What's the price to get a single swim? Don't neglect you can also promote this pool so Brinscall Swimming Pool will appear the first of Brinscall, or perhaps the very first of one's country, make contact with us to know additional. Swimmers like you reported 25 yards, 4 lanes, Indoors. Unfortunately we do not have the email address of this Pool, but we can provide you with the phone number. Write down the GPS coordinates we've on our file for this Pool, so you can enter them into your GPS to help you locate the Aquatic Centre easily. If you believe that any from the information is incorrect, please contact us. Enable us be better day-by-day. Kelbrook New Road , Barnoldswick , England , UNITED KINGDOM (Postal Code: BB18 5TB). This sports centre delivers 25 meters, Indoors. Contact details for this Swimming Pool for instance phone number and e-mail address are number. Brindle Road , Bamber Bridge , Preston (Lancs) , England , UNITED KINGDOM (Postal Code: PR5 6YJ). Among all the activities offered by the centre, for anyone who is interested in swimming you will appreciate 25 meters x 14 meters, no lanes, Indoors. Just in case you would like to get in touch with this Pool before dropping by, we only know the phone number. Leeds Road , Newchurch , Nelson , England , UNITED KINGDOM (Postal Code: BB9 9TD). Swimmers like you reported 25 meters, 6 lanes, Indoors. Phone number and email address are number for this Swimming Pool. Birch Road , Garstang , England , UNITED KINGDOM (Postal Code: PR3 1HT). Among all the activities provided by the centre, for anybody who is thinking about swimming you'll appreciate 20 meters x 7.5 meters, 4 lanes, Indoors. If you'll want to get in touch with this Pool, e-mail address and phone number are both number. Bailrigg , Bailrigg , Lancaster , England , UNITED KINGDOM (Postal Code: LA1 4YW). Among all of the activities supplied by the centre, should you be keen on swimming you will enjoy 25 meters x 13 meters, Indoors. If it is advisable to get in touch with this Pool, e-mail address and phone number are both number. Crow Hills Road , Penwortham , Preston (Lancs) , England , UNITED KINGDOM (Postal Code: PR1 0JE). Among all of the activities offered by the centre, if you are keen on swimming you'll delight in 25 meters x 15 meters, Indoors. Just in case you desire to contact this Swimming Pool before dropping by, we only know the phone number. Edisford Road , Clitheroe , England , UNITED KINGDOM (Postal Code: BB7 3LA). Swimmers like you reported 25 meters, 5 lanes, 0.9 meters - 3 meters depth, 0.9 meters - 3 meters depth, Indoors. Phone number and e-mail address are number for this Swimming Pool. Ribbleton Lane , Preston (Lancs) , England , UNITED KINGDOM (Postal Code: PR1 5EP). Swimmers like you reported 25 meters x 12.5 meters, 6 lanes, 1 meters - 2 meters depth, 1 meters - 2 meters depth, Indoors. Unfortunately we do not have the e-mail address of this Pool, but we can provide you with the phone number. Moss Lane , Whittle - Le - Woods , England , UNITED KINGDOM (Postal Code: PR6 8AB). Among all the activities provided by the centre, if you are thinking about swimming you might appreciate 25 meters x 10 meters, Indoors. Just in case you need to contact this Pool before dropping by, we only know the phone number. The Capitol Centre , Walton-le-Dale , Preston (Lancs) , England , UNITED KINGDOM (Postal Code: PR5 4AW). Among all of the activities offered by the centre, should you be thinking about swimming you can expect to appreciate 25 meters x 12.5 meters, Indoors. Just in case you want to contact this Pool prior to dropping by, we only know the phone number. Northway (Road) , Skelmersdale , England , UNITED KINGDOM (Postal Code: WN8 6LU). Among all of the activities offered by the centre, if you are considering swimming you may delight in 20 meters x 5 meters, Indoors. Just in case you desire to get in touch with this Swimming Pool prior to dropping by, we only know the phone number. 11 - 17 South Promenade , Lytham Saint Annes , England , UNITED KINGDOM (Postal Code: FY8 1LU). Swimmers like you reported 20 meters x 15 meters, Indoors. Phone number and e-mail address are number for this Pool. Updated on 2019 Carnforth High School , Kellet Road , Carnforth , England , UNITED KINGDOM (Postal Code: LA5 9LS). This sports centre offers 20 meters x 7 meters, 4 lanes, 0.9 meters - 1.9 meters depth, 0.9 meters - 1.9 meters depth, Indoors. Contact info for this Pool similar to phone number and email address are number. Preston Road , Whittle - Le - Woods , England , UNITED KINGDOM (Postal Code: PR6 7PP). Among all of the activities provided by the centre, if you are thinking about swimming you are going to get pleasure from 18 meters x 15 meters, Indoors. If you'll want to contact this Pool, email address and phone number are both number. Updated on 2019 Water Street , Just North of Town Centre , Chorley , England , UNITED KINGDOM (Postal Code: PR7 1EX). Swimmers like you reported 25 meters, 6 lanes, Indoors. Unfortunately we do not have the email address of this Pool, but we can provide you with the phone number. The facts of this Pool has been verified lately by a member of their staff.